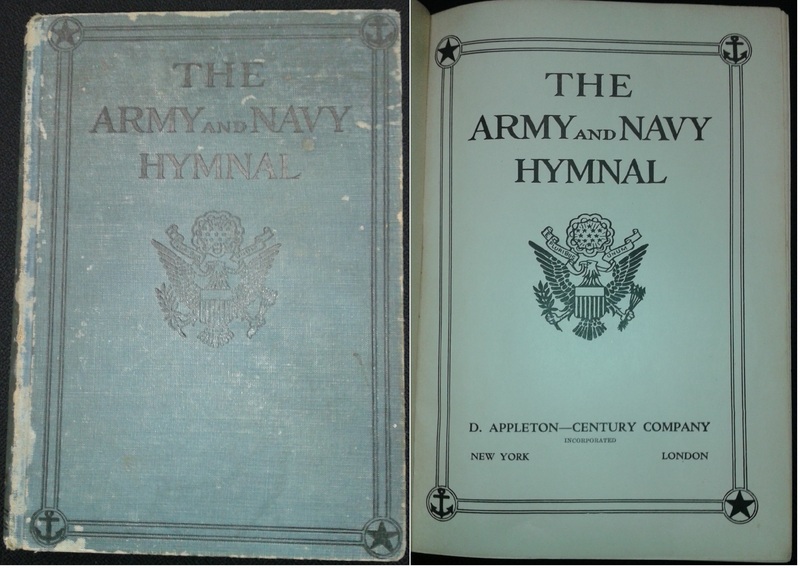 “Hymn Book for the Army and Navy” published by the American Tract Society and given to Soldiers during the Civil War. 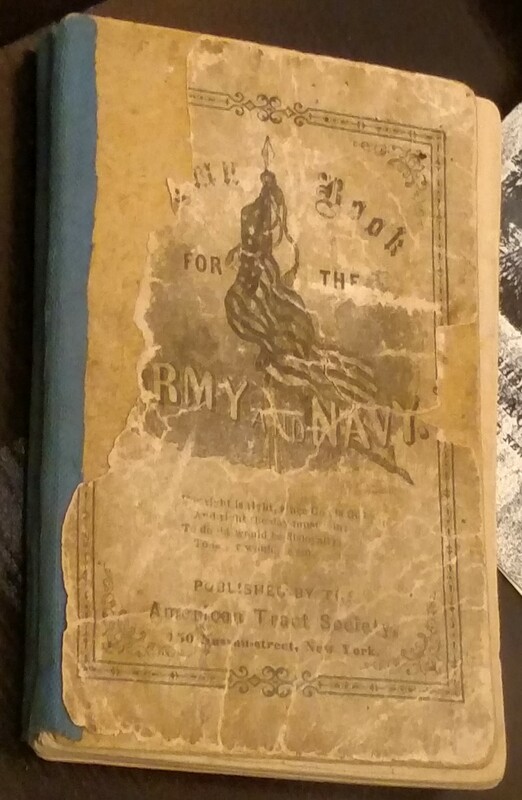 This particular copy was owned by a Soldier from Culpeper, Virginia and is on display in the Cuplpeper History Museum (photo by author). 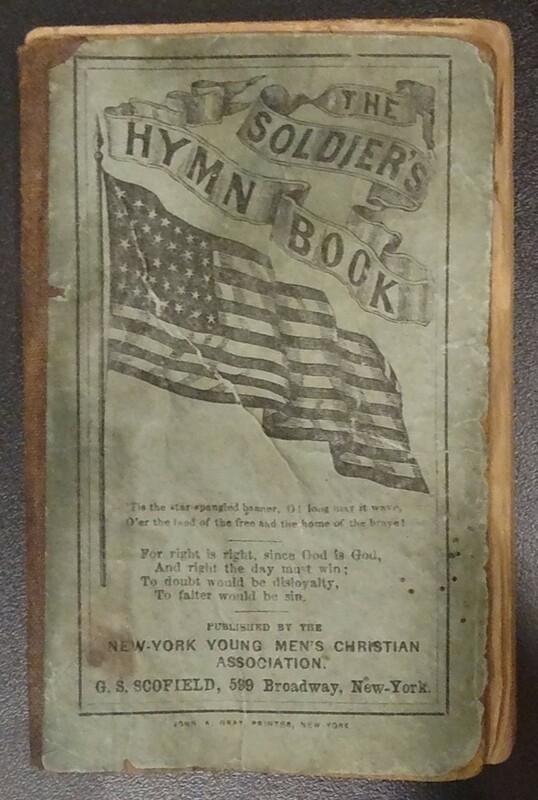 Civil War-era Soldier’s Hymn Book, published by the New York YMCA, on display at the National Civil War Chaplains Museum. 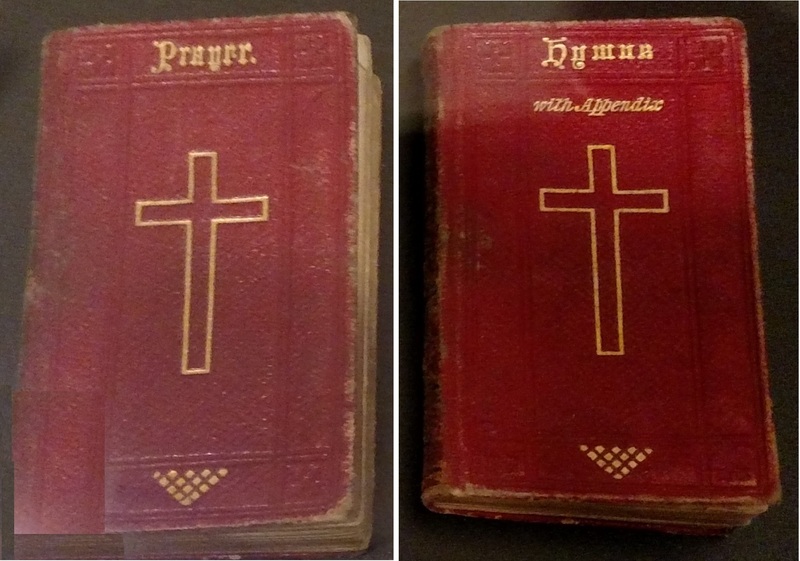 Civil War, Episcopal Prayer and Hymn Books for Sailors, 1862 on display at the National Civil War Chaplains Museum (photo by author). 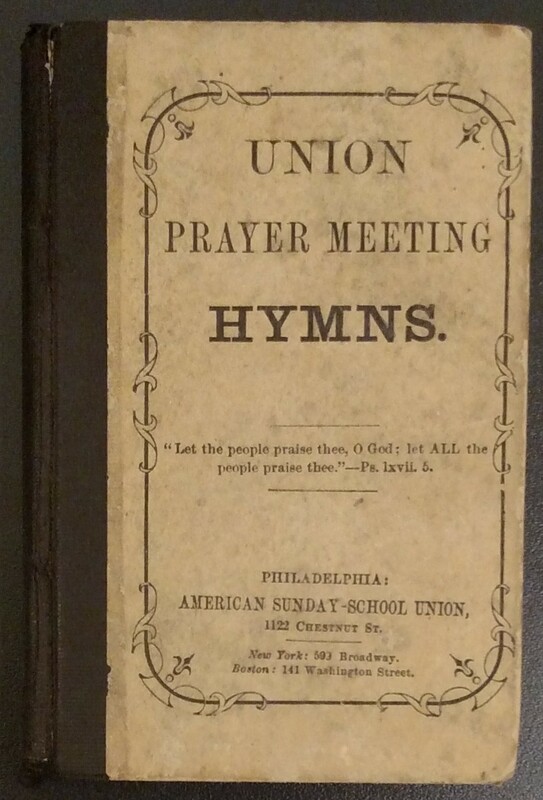 “Union Prayer Meeting Hymns” published by the American Sunday School Union, Philadelphia, 1862, on display at the National Civil War Chaplains Museum. 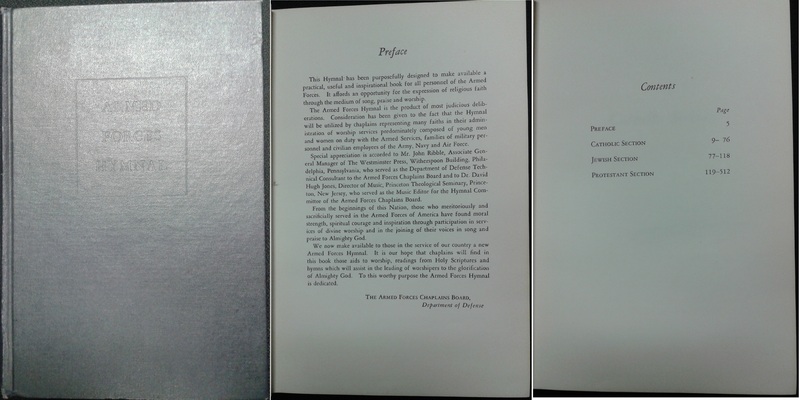 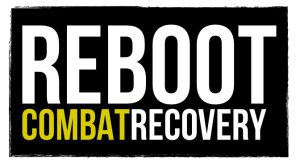 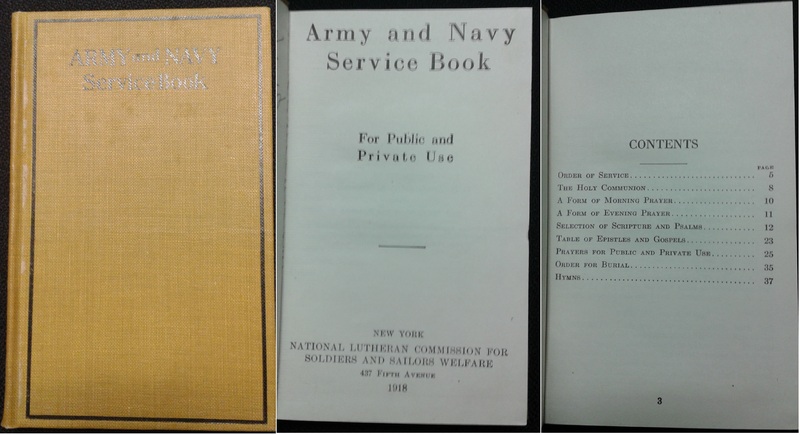 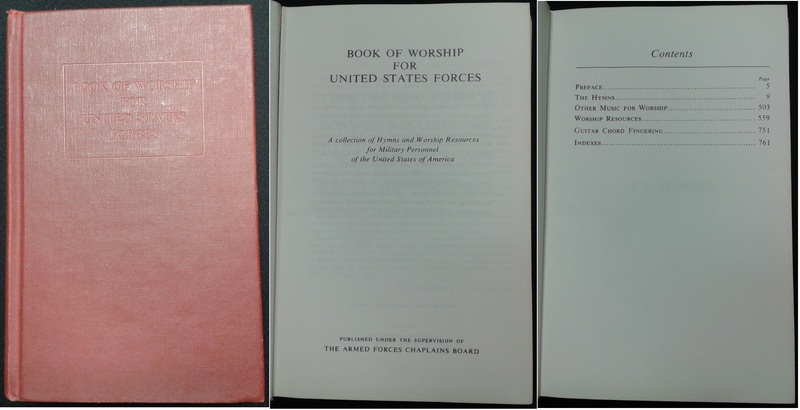 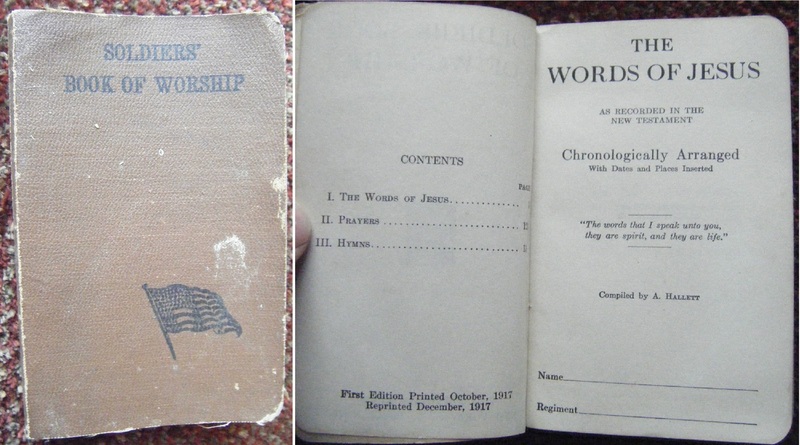 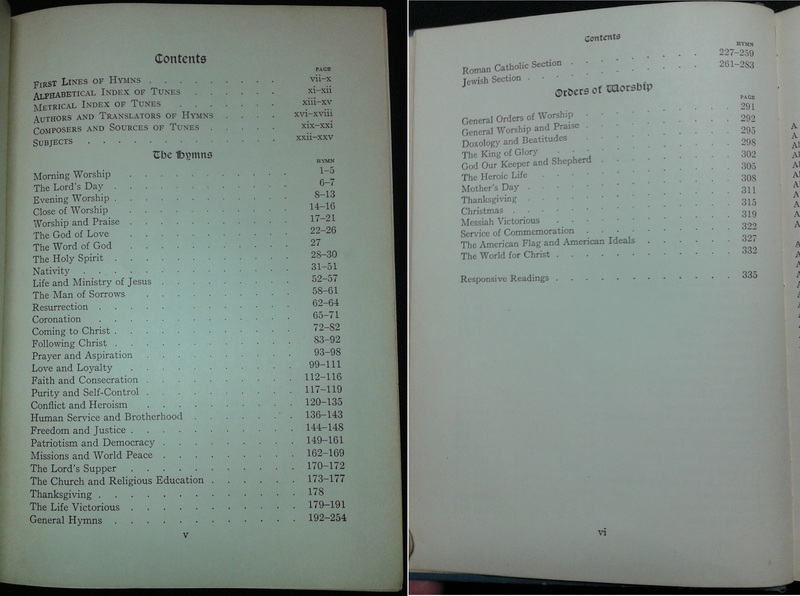 “A Book of Worship for Soldiers and Sailors” an abridgment of the Book of Common Worship published for the National Service Commission of the Presbyterian Church in the United States of America, 1917. 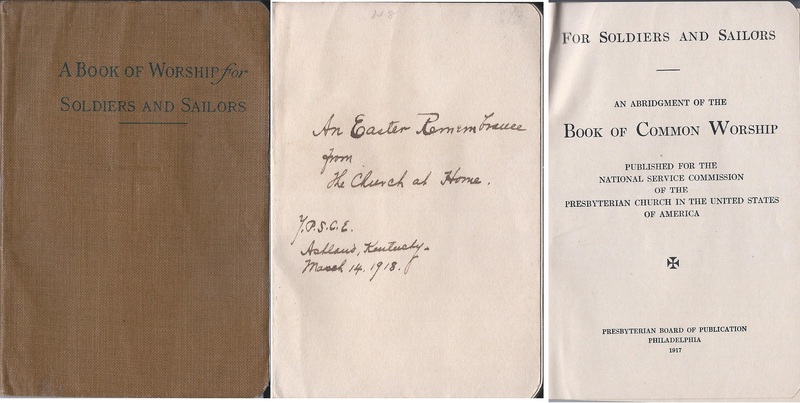 This copy has an a not from the owners church in Ashland Kentucky dated March 14, 1918 (author’s collection). 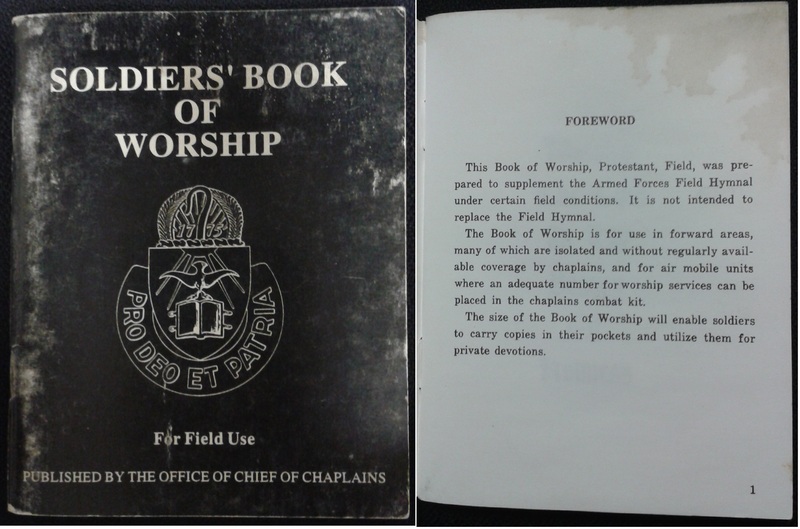 Service of Holy Communion for the Royal Military Chapel at Wellington Barracks. 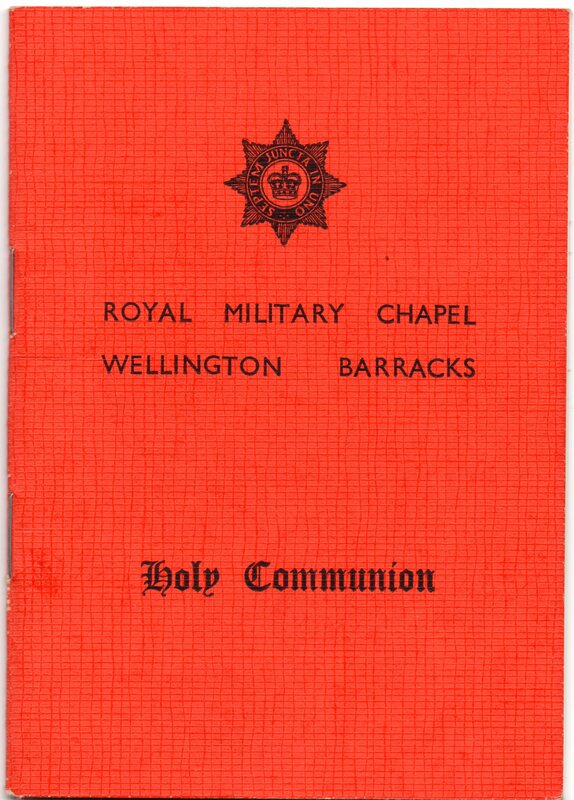 No date, but likely printed for the rebuilding of the chapel in the 1960s. 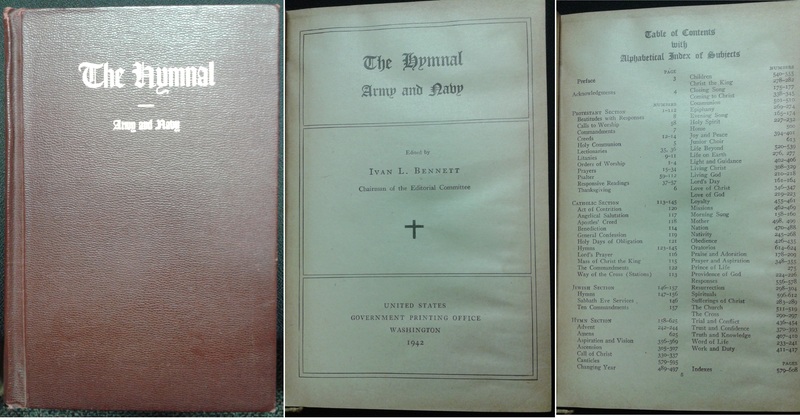 Provided by the Christian Evidence Society, Printed by Coates Printing Works, Isleworth, Middlesex (author’s collection).